When Microsoft first gave off teasers to their new platform for Windows 10, they claimed that their latest OS was the most secure OS released to date. 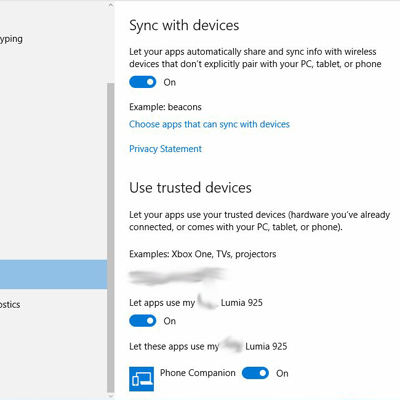 Another feature of Windows 10 security is the ability for the OS and it's AI assistant Cortana to help refine your experience on the new platform. 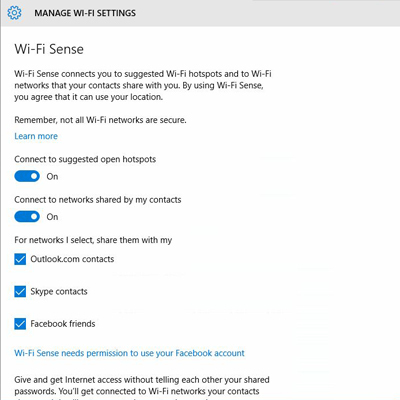 There are a couple of features that have some privacy experts worried, as these features will broadcast your private data to Microsoft. Microsoft have taken the latter crowd into account and have implemented tools by which the end user can control the degree of privacy to a point that suites the end user. 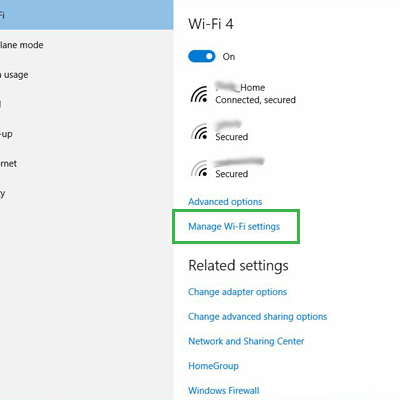 ■In the new window click on "Privacy"
■On the left pane, under "General"
■On the right pane you'll find 4 options to toggle through. You can turn off the first option or all of them, as you see fit. Do note that turning off ID, which helps transmit advertisements that are tailored to your email address, will be reset. ■In the left pane, the "Location" tab allows you to choose options for your location broadcasting and demographic content on the world wide web. Turn all or selective apps off to control your physical whereabouts. 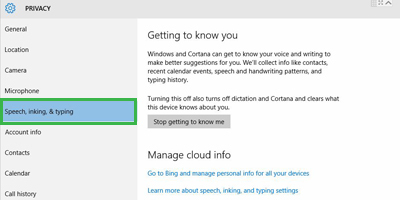 ■Along the left pane, the "Speech, inking & typing" tab deals with how Cortana collects data in order to improve your browsing experience. 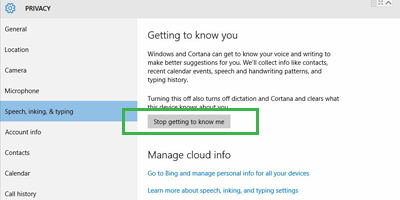 To disable Cortana collecting info of your search and computing habits, click on "Stop getting to know me". 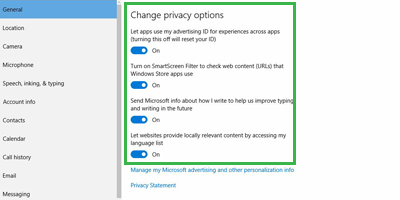 ■Move back to the "Settings" page and click on "Network & Internet"
■The last form of privacy control is to opt out of Microsoft's personalised advertisements for users campaign by going to this URL and move the slider to the "off" position for "Personalised ads in this browser" and "Personalised ads wherever I use my Microsoft account". 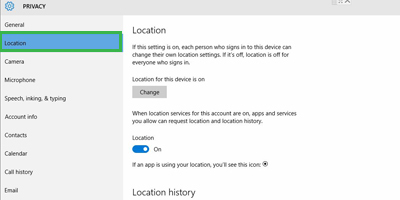 If you'd like to also disable Cortana for the same reason as this tutorial please follow through with this tutorial. Question Any simple way to automate Windows control panel and other settings? Question Windows Sound Control Panel is not opening.